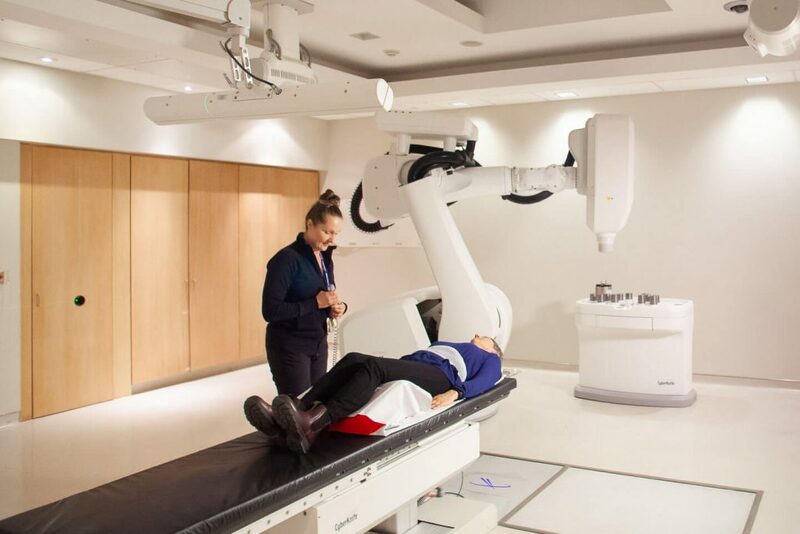 The CyberKnife radiosurgery robot at The Ottawa Hospital is more powerful, more accurate, and more versatile than regular radiation, and results in less discomfort, faster recovery, and better outcomes for patients. Patients don’t need to have a metal halo screwed into their skull when they receive radiation treatment with the CyberKnife. 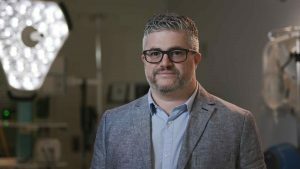 That was one of the appealing factors for neurosurgeon Dr. John Sinclair to bring the radiosurgery robot to The Ottawa Hospital. With other radiosurgery, patients with brain tumours had to have their head held perfectly still during treatment. A metal frame or “halo” was screwed into their skull and then fastened to the table they’d lie on for treatment. However, patients do not need to be held still when receiving CyberKnife radiosurgery. The robot uses x-rays and complex precision software to accurately track the tumour. It gives a high dose of radiation to the precise location of the brain tumour while the patient, who is fitted with a custom-made plastic mask, lies on the table. Dr. John Sinclair was instrumental in bringing the CyberKnife to The Ottawa Hospital. Dr. Sinclair was first introduced to the CyberKnife when he did a fellowship at Stanford Medical Center in California. CyberKnife was invented at Stanford, so the neurosurgeon was one of the first to see the benefits of this frameless radiosurgery treatment. 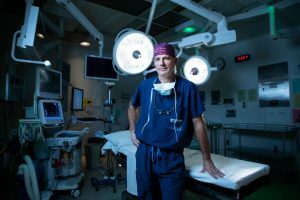 When Dr. Sinclair was recruited to The Ottawa Hospital in 2005, he had hoped to bring this novel technology to patients here. At the time, it was a technology that wasn’t approved by Health Canada. So, Dr. Sinclair and his team made a case for robotic radiosurgery, presenting scientific data that validated its success. The Ottawa Hospital was eventually one of two health research centres in Ontario allowed to test the CyberKnife. However, there was no government funding available to purchase the machine. The hospital appealed to the community, which pulled together and generously raised the entire $4 million to purchase it. 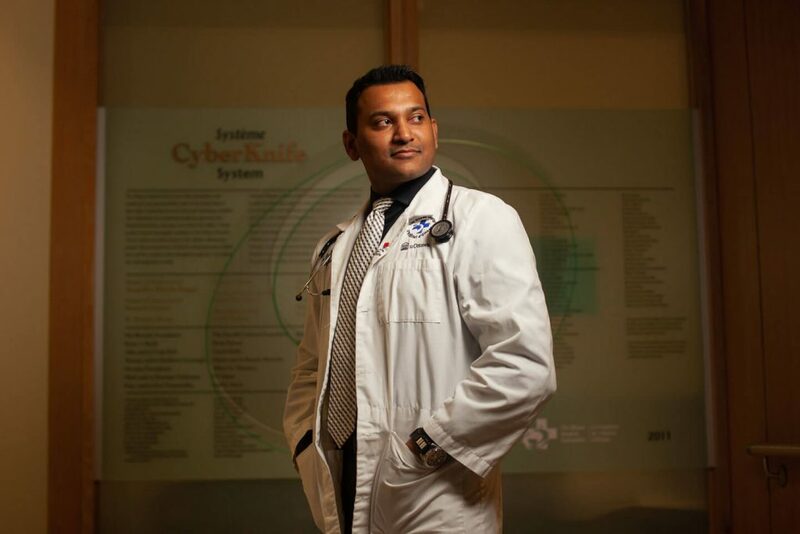 CyberKnife began treating patients at The Ottawa Hospital in September 2010. With regular radiation, the daily doses were lower and patients had to come to the clinic for more radiation treatments overall. Regular radiation treatment could range from five to six weeks. 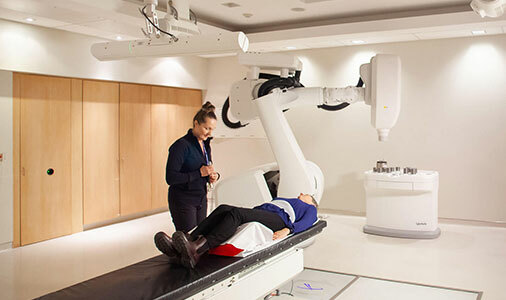 With CyberKnife, radiation is focused precisely on the tumour, allowing larger doses to be given daily, therefore giving the total treatment in one to six days. The hospital’s CyberKnife has gained a reputation for improving treatment of various tumours. 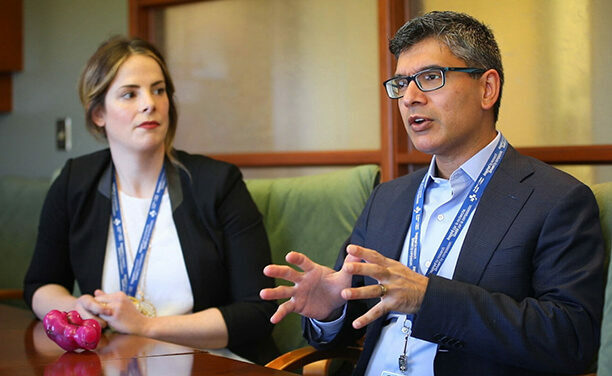 Dr. Nair said that because it is one of only three in Canada, patients from British Columbia to the Maritimes are occasionally referred to The Ottawa Hospital for treatment. This has meant an increase in the number of patients having multiple tumours treated in the same session. 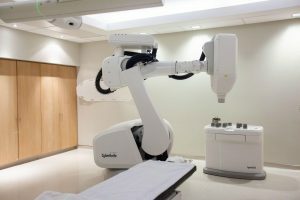 The CyberKnife at The Ottawa Hospital is one of only three in Canada. Radiation Therapist Julie Gratton has given CyberKnife treatments to patients since 2010. Until 2017, 1,825 patients had been  treated with the CyberKnife. In 2018, 359 patients received 1,824 CyberKnife treatments. Gratton said that because more tumours are being treated at once in each patient, the number of treatments given per year has increased as expected. Although 90 percent of CyberKnife treatments are for malignant or benign brain tumours, CyberKnife is also being used to treat tumours in other parts of the body. Because it doesn’t require a frame to keep the area receiving radiation still, CyberKnife’s image guidance system is used to treat tumours in organs that move constantly, such as the lungs, kidneys, liver, prostate gland, and lymph nodes. CyberKnife can precisely align the radiation beam to the tumour even when it moves. The method of tracking tumours in organs and soft tissue has been improved by research at The Ottawa Hospital. Read more about how our team is increasing the success rate of this already powerful and precise treatment. 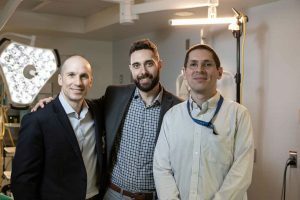 Thanks to generous donor support, The Ottawa Hospital is providing advanced treatment of tumours in inoperable places with state-of-the-art technology. 3-D virtual reality increases neurosurgeon’s accuracy to place electrodes in patients’ brains. Technology expected to be the first of its kind in the world. Maureen suffered from fibroids in her uterus and was told by five doctors that she needed a hysterectomy. However, with the help of a 3D-printed model of Maureen’s uterus, Dr. Sony Singh removed all 50 tumours and left her uterus intact, allowing her to carry a baby if she decides to. The uterus fits in the palm of Dr. Sony Singh’s hand. The large pink lumps inside the clear, plastic 3D-printed model are fibroids, or tumours, and there are more than 50 of them. To ensure his patient could carry a child in the future, Dr. Singh had to do something that had never been done before. Maureen had suffered for years with abdominal pain. Over the past six years, she was told by five doctors that she had so many fibroids in her uterus, her only option was to have a hysterectomy – complete removal of her womb. She refused this option. “I will die with my womb. Nobody will touch it,” said Maureen (who did not want her last name used). She was referred to the Shirley E. Greenberg Women’s Health Centre at The Ottawa Hospital, where she saw the Minimally Invasive Gynecology team of doctors and nurses. Dr. Singh, a surgeon and the Elaine Jolly Research Chair in Surgical Gynecology, told Maureen he could remove all the fibroids, and she would not need a hysterectomy. 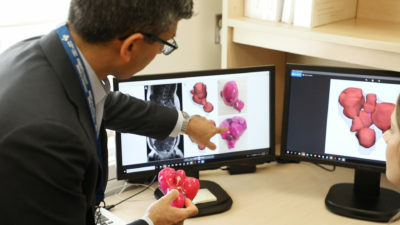 Holding the 3D printed model of Maureen’s uterus, Dr. Sony Singh examined the MRIs and 3D renderings – the images that appear on the operating room screens that doctors can move to get a 3D view of the surgical area. 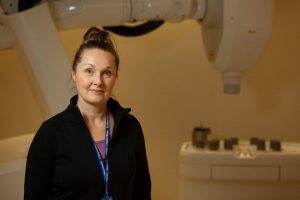 Dr. Teresa Flaxman, Research Associate at The Ottawa Hospital, said it was difficult to see tumours in the patient’s uterus on an MRI. So, she contacted the hospital’s 3D Printing Lab. 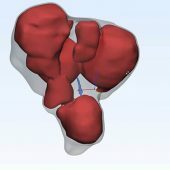 She had heard how 3D-printed models were helping orthopaedic surgeons see exactly what they were operating on, so they could better plan the surgery. 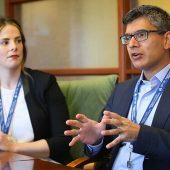 Dr. Adnan Sheikh, Director of The Ottawa Hospital’s 3D Printing Program, said the Department of Orthopaedics is one of the main users of the lab, which prints models for orthopaedic oncology surgeons to plan operations in advance, reducing surgery times and costs. The 3D-printed uterus model was printed eight times smaller than the actual size, but Maureen’s uterus was 20 times bigger than normal because of the fibroids. 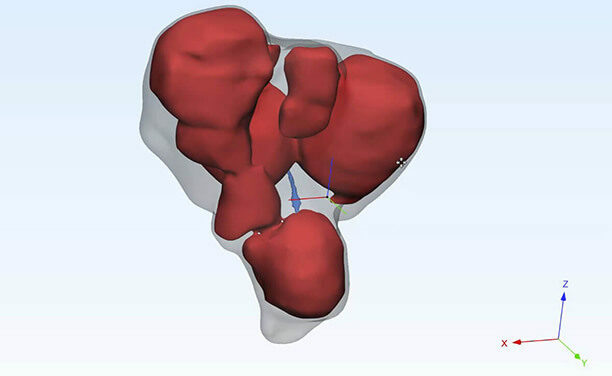 A 3D rendering of the uterus helped the surgical gynecology team in the operating room. Researcher Dr. Teresa Flaxman (left) and surgeon Dr. Sony Singh worked with the 3D Printing Lab to create a 3D model of the uterus. 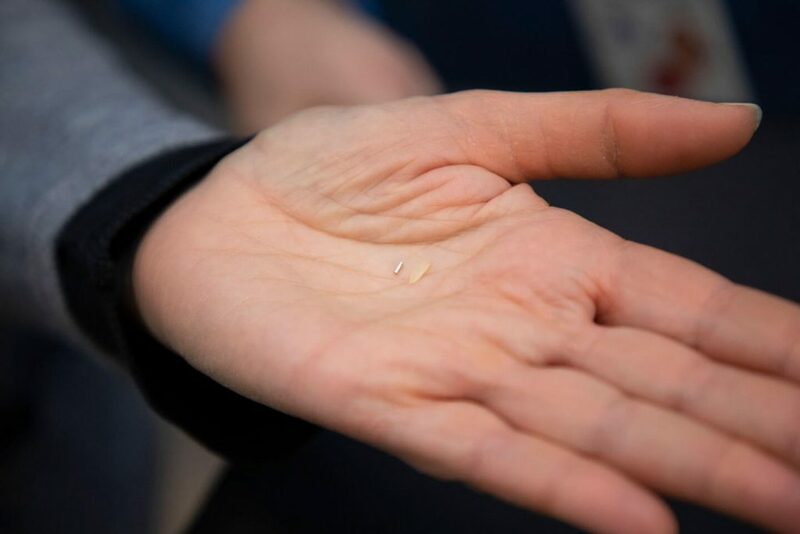 “We wanted to save her uterus in hopes that she can carry a pregnancy in the future, which wasn’t a hope for her up until this point,” said Dr. Singh. “By working together with the 3D Printing Lab at The Ottawa Hospital, we’re going to be one of the first hospitals internationally to study how we can provide this improved care by using 3D-printed models in planning surgery for women’s health,” said Dr. Flaxman. Maureen was so grateful the gynecology team was able to spare her uterus, that she donated to the Guardian Angel Program to thank them. 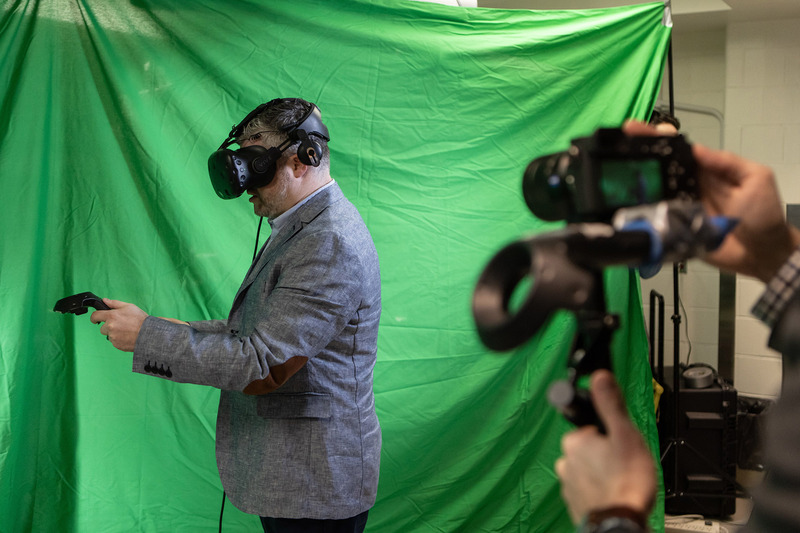 The Ottawa Hospital is improving patient care by changing and refining medical protocols and practices with innovative technology. Join us for the Blackburn Hamlet Cancer Chase for a 5 km walk/run in Ottawa, Ontario, in support of cancer research at The Ottawa Hospital. Description: Join us for the Blackburn Hamlet Cancer Chase for a 5 km walk/run in Ottawa, Ontario, in support of cancer research at The Ottawa Hospital. This event will feature the fun activities participants have come to enjoy over the years, including a free t-shirt upon registration, a silent auction and delicious food! Register today as a participant, a volunteer or as a sponsor! For more information email Lee Stach at [email protected]. We dare to be great and do so with humility and compassion. We begin each day with optimism and end it with hope. We believe in the healing power of kindness. We are tireless doers and discoverers, with a resolve to care and cure. We know that an ordinary day can become extraordinary in an instant. We are creating the future in Ottawa and changing lives around the world. And we want you to be at our side. Police officer Ian McDonell has no evidence of melanoma after receiving an innovative immunotherapy treatment. Immunotherapy has given the father of three back his life. Make a single gift personally or on behalf of a business and help support the best patient care and research at The Ottawa Hospital. Support patients all year long by making a monthly donation to The Ottawa Hospital. Make a donation to mark a special occasion, remember a loved one, or honour a caregiver through our Guardian Angel Program.